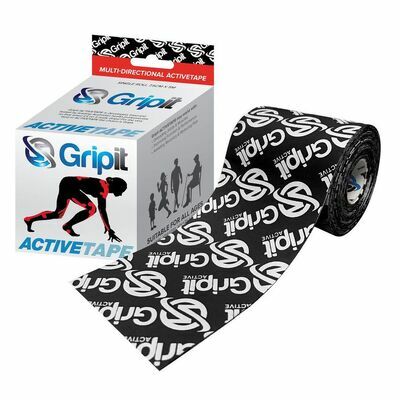 Multi-directional kinesiology tape that boasts superior adhesive technology and quick-dry fabric. 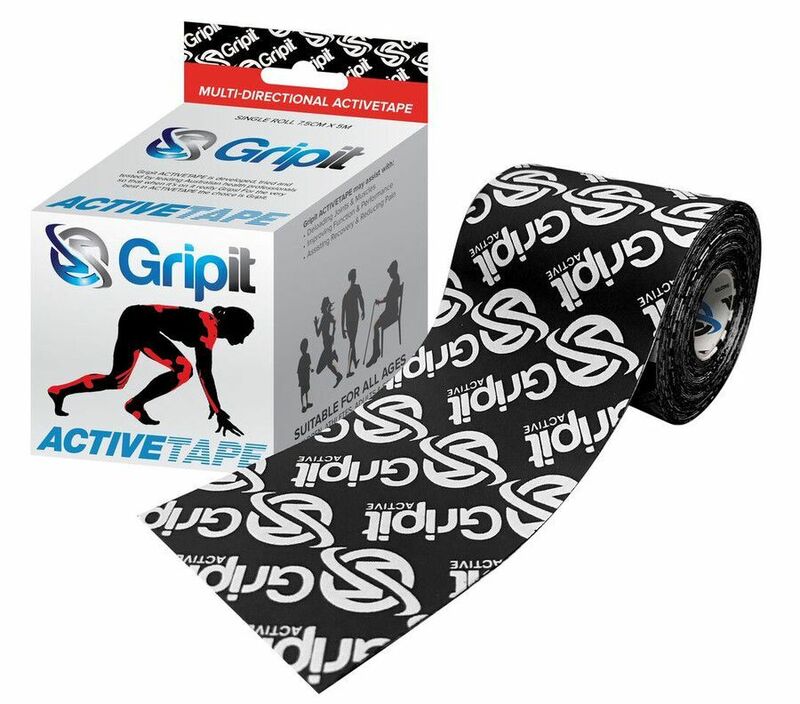 Strap-It Grip-It Active K-Tape is multi-directional kinesiology tape that boasts superior adhesive technology and quick-dry fabric. 5cm x 5m is the most popular size of kinesiology tape on the market, as it applies easily to most body regions. Multi-directional stretch so that Grip-It Active can adhere closely to joints and body parts for maximum dynamic support and unloading. Grip-It Active doesn’t have a rigid endpoint, allowing for full joint, muscle and body movement. 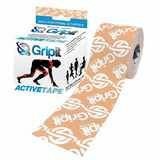 Superior adhesive glue technology, which keeps the tape stuck on through any high-intensity sport or working conditions. 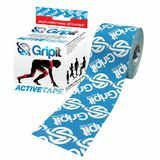 Grip-It sticks to both skin and itself, meaning you can apply multiple layers of tape to enhance the muscle unloading effect without restricting movement. Breathable, quick-dry fabric that’s perfect for showering, swimming, watersports, and sensitive skin. Slinky, smooth and comfortable feel thanks to its cotton-nylon blend. Hypoallergenic, latex- and zinc oxide-free design. Enhance power, performance and recovery. You can apply kinesiology tape directly over/around the periphery of your injured joint or muscle, which is non-restrictive. Grip-It Active should be applied on stretch to a body part in a shortened position. As it stretches with movement, Grip-It Active aids in absorbing load and re-directing it to assist muscle force. This decreases the overall amount of work a muscle must do to generate power, and therefore conserves energy.